With the Polish local elections approaching this weekend, the latest polls indicate which major cities are in a dead heat race and in which a winner already seems clear. 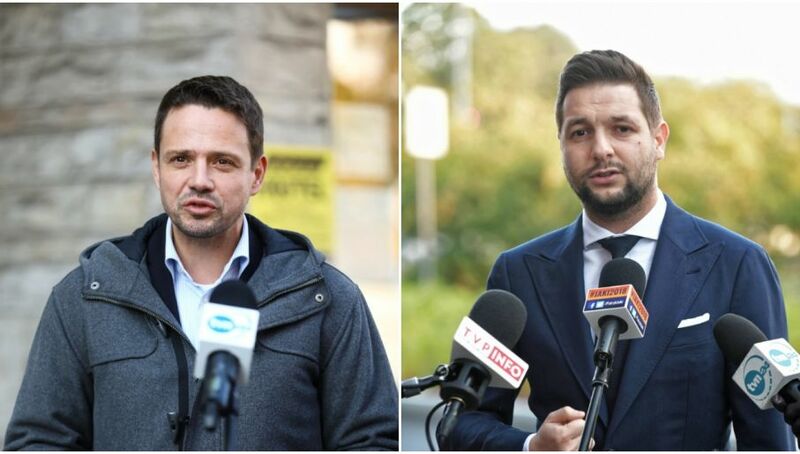 Of 1,100 Warsaw citizens surveyed by the IBRIS agency, in the first round of the elections 42.1 percent expressed their support for the Civic Coalition’s candidate Rafał Trzaskowski compared to 31.9 percent voting for Patryk Jaki, the current government deputy-minister of justice. 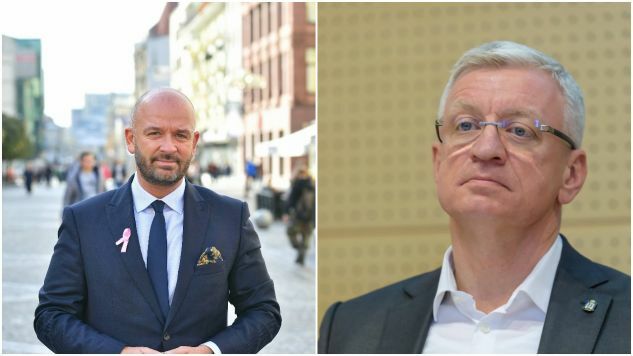 The Warsaw mayoral race is clearly a two-horse race as the third placed Democratic Left Alliance (SLD) candidate Andrzej Rozenek received just 4.1 percent of votes. Mr Trzaskowski and Mr Jaki would then face each other in the second round. According to the poll, Mr Trzaskowski then triumphs with 53.5 percent of the vote, compared to Mr Jaki’s 40 percent. The head of the IBRIS agency commented that it was Friday night’s debate that changed people’s opinion. Indeed, the IBRIS survey’s result is the first that shows Mr Trzaskowski so far ahead. Until now, polls had shown the Warsaw race to be a tight one. Whether the trend continues, will be revealed this weekend. Surveys in Gdańsk, Poznań, and Wrocław were taken by KANTAR Millward Brown for Gazeta Wyborcza between the 6 and 13 of October. In Gdańsk, the incumbent mayor Paweł Adamowicz caught up with Civic Coalition’s Jarosław Wałęsa. Opposition’s candidate Jarosław Wałęsa was still ahead in last month’s polls but the incumbent mayor’s support has grown as the election approaches. 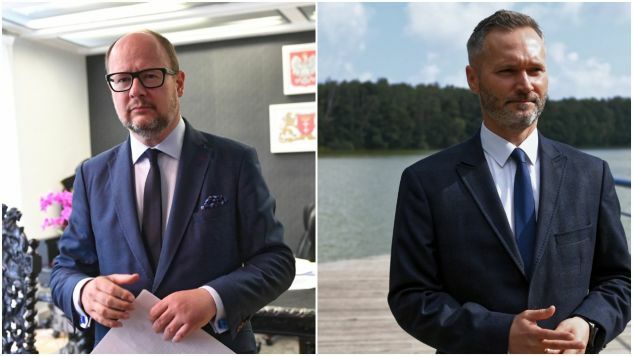 Poll results show the two candidates too close to call in both rounds – 30 to 26 percent in favour of Mr Adamowicz in the first round and 45 to 43 percent in favour of Mr Wałęsa in the second round. Both of the candidates come slightly ahead of the Law and Justice’s Kacper Płażyński. His support is stable at around 23 percent in the first round. Should he advance to the second round, however, the polls give him little chance in a direct confrontation with the other two candidates. Depending on the scenario, he loses by a 29 percent margin should he face Mr Wałęsa and by a 27 percent margin should he face Mr Adamowicz. With one week to go, the competition for the mayor seat in Gdańsk is thus more interesting than ever. Wrocław and Poznań: winners unchallenged? The race in Wrocław narrowed down to two candidates: Jacek Sutryk, supported by the Civic Coalition and the incumbent mayor Rafał Dutkiewicz, and the Law and Justice’s Mirosława Stachowiak-Różecka. However, Mr Sutryk’s advantage over his opponent is significant. The latest poll gives him 38 percent, compared to 22 percent for Ms Stachowiak-Różecka in the first round, and 59 percent against Ms Stachowiak-Różecka’s 34 percent in the second round. In Poznań, the incumbent mayor Jacek Jaśkowiak leaves hardly any chance to his opponent with the support of 48 percent of the citizens. The Law and Justice’s Tadeusz Zysk comes second but his support is just below 20 percent. Current deputy mayor Tadeusz Lewandowski is placed third with 8 percent of the vote. Should Mr Jaśkowiak face either Mr Zysk or Mr Lewandowski, his victory in the second round currently seems clear – he would receive the support of around two-third of the voters. To win in the first round, a candidate has to receive a majority of the votes - 50 percent plus one vote.